Welcome ST Bende back to the blog! 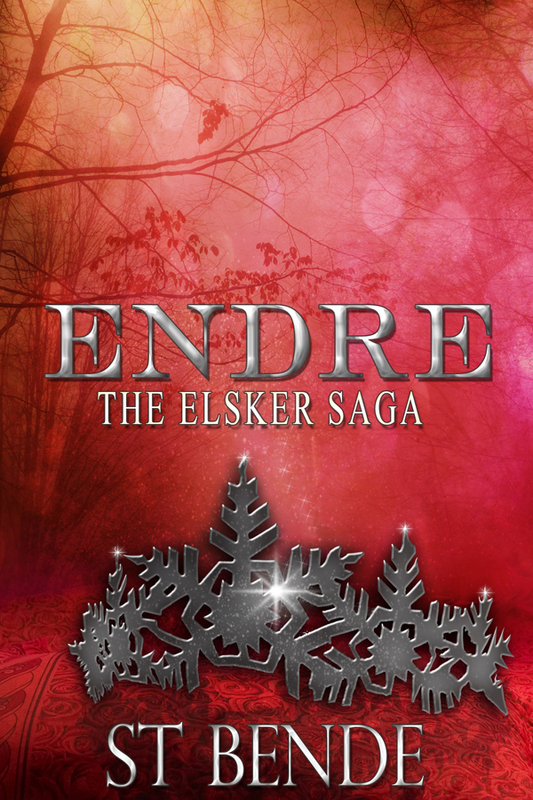 Today she's talking Valkyries in honor of the release of Endre -- the sequel to Elsker! Valkyries have never really been my thing, but I love how ST Bende updates and upgrades them for her books -- making them modern and relevant! You'll see, below! Hei hei, y’all. It’s me again, fellow Thor lover and writer of all things Norse, ST. Amalia was sweet enough to invite me back to talk about one of the coolest sororities in the Norse pantheon, The Valkyries. When you think Valkyrie, you probably think Wagner, epic operatic overtures, and fierce battle goddesses flying on dark winged horses over a battlefield clustered with carnage. Or maybe you think Sorcerer Mickey fighting the overwhelming tide in Fantasia. No? That’s just me? At any rate, I can’t see the word Valkyrie without conjuring up the dark images evoked by Wagner’s heavy musical composition. And with good reason -- in Norse mythology, Valkyries were warrior goddesses charged with collecting slain human soldiers for Odin’s army. They traveled to Midgard (Earth) on winged horses and chose the very best of the fallen warriors to bring to Odin’s pad (Valhalla), where they trained the dead to fight for Asgard at the Norse apocalypse (Ragnarok). It was a grisly, bloody job, and those Valkyrie chicks thrived on it. But I’m generally a fluffy bunnies kind of girl. (Not the “Kill the wabbit, kill the wabbit!” kind of Wagner-inspired bunnies. The “True Love’s Kiss” kind of fluffy bunnies.) And while I can’t ignore the very necessary function of the Valkyries as battle goddesses, in my Elsker books, I give them another fun job. I’ve made them Asgard’s official pilots of all things, not just winged war-horses. So when Ull, my Norse God of Winter, takes his bride to a secret location for their honeymoon, Asgard’s private jet is piloted by none other than the mythological ladies of battle lore, The Valkyries. Turns out they love flying soverymuch that they’ll fly anything anyone will let them get their hands on. Including Learjets. You know, after they handle the fire giant uprising in Muspelheim, and get a handle on the Svartalfheim dark elf situation. Because Valkyries are nothing if not brilliant multitaskers. And they always look amazing doing it. Oh -- and in case y’all are wondering, yep. I listened to Flight of the Valkyries on loop while writing this post. Because nothing says “smokin’-hot honeymoon pilots” like a good, German opera, dontcha think? Buy it from Amazon, B&N, or Kobo! Thanks for letting me play with you, Amalia! Happy to have you, always!! I love Valkyries as pilots!! I am a huge Valkyrie fan and am "attempting" to write my own valkyrie novel (www . soulchaserbecky.blogspot.co.uk) I like you have tried to update them and mine claim the souls of the noble soldiers out in modern wars but also visit hospitals n care homes due to the lack of good warriors dying in wars nowadays. However my one valkyrie with a forgotten past gets entangled in the secret agendas of the gods and all the while Valkyries are being targeted and Ragnarok is being whispered in Odins hall. Enough about Soul Chaser, I can so totally imagine Valkyries being frequent flyers almost Top Gun style. In my writing the Elder Valkyires have divine wings bestowed on them. And with valkyries being interlinked with swan maiden myths too and we all know swans have gorgeous wings and fly long distances. I will try and get my hands on your 2 bks and read them as well as review on my blog. I was wondering if you might be interested in doing an interview over at my humble blog? Hi ladies! 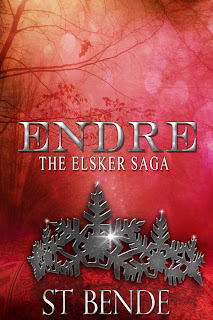 Thanks for doing this blog post you have led me to more norse fantasy as I call it ans anything that mentions Valkyries in any manner gets a big thumbs up from me. I am a huge fan of Valkyries and I can imagine them loving to fly. In my wip novel Soul Chaser my Elder Valkyires have swan like wings and Freya has a pair of golden eagle wings. I will try and see if the UK amazon has ur books available and if I love them they will appear as a full review on my blog.